Hoped to see something exotic on our Po Toi Trip on April 1st. 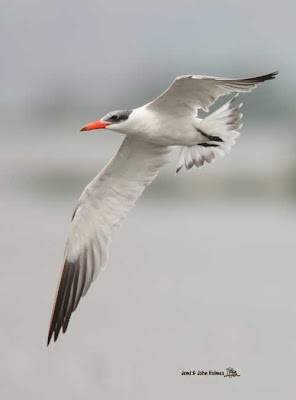 The seabirds didn't oblige at all, so here is a Caspian Tern from a few days earlier at the boardwalk, Mai Po. Weather was good and sea was quite calm most of the time, there were some big waves when got to the bend of the west Lamma Channel. Very quiet in the sea, basically no sea birdsat all.